Since the opening of the first Novotel in 1967, AccorHotels has grown to be one of the world's leading hotel operators. AccorHotels includes a wide range of well-known brands, including Sofitel, Pullman, Mercure, ibis, Fairmont, Raffles and Swissotel. Le Club AccorHotels is the worldwide, multi-brand, free loyalty programme of AccorHotels. As an Emirates Skywards member, you can now convert Le Club AccorHotels points into Skywards Miles and move closer to your next reward. Put your Miles towards your next great escape with family or friends, or spend them on tickets to watch your favourite team in action. Convert 4,000 points into 2,000 Skywards Miles. Convert nowOpens an external website in a new tab. Members must be enrolled in the Le Club AccorHotels programme to earn Le Club AccorHotels points. The points can then be converted into Skywards Miles. The minimum amount you can convert is 4,000 points. Once points are converted into Skywards Miles, the transaction cannot be reversed. Le Club AccorHotels programme terms and conditions apply. 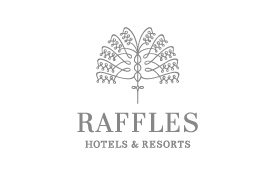 Emirates Skywards members will be able to claim missing Miles retrospectively until 30 June 2019 for stays booked at Raffles and checked-out on or before 01 July 2018.